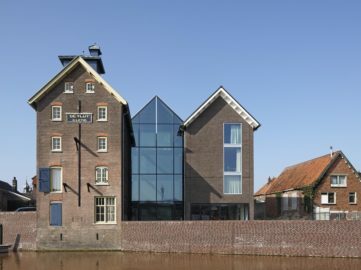 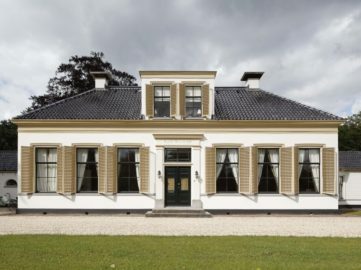 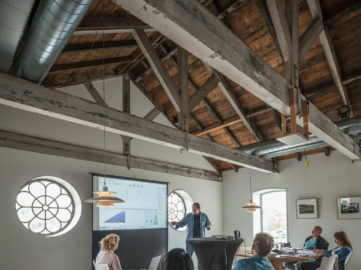 B+O Architecten designed a museum in Orvelte, which is used as a graphical tasting room. 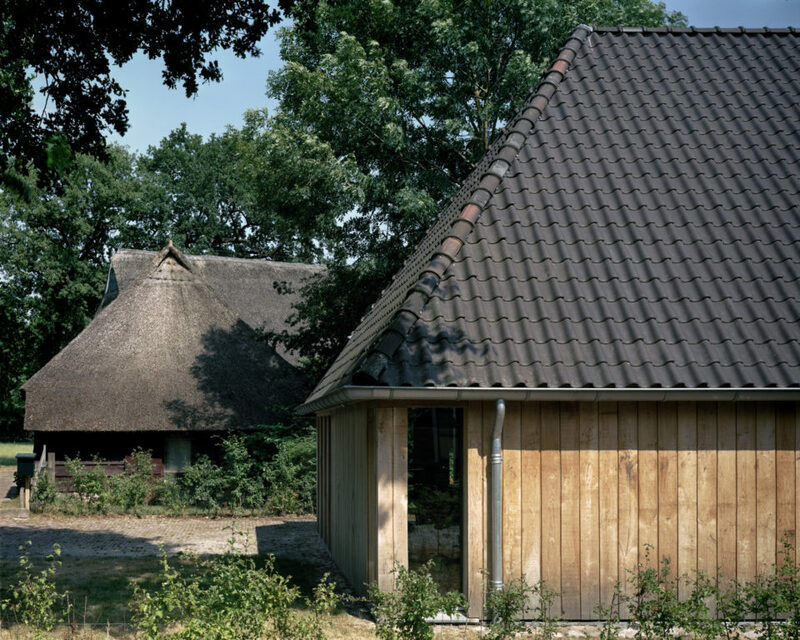 The entire village is a protected village and is largely a listed as monumental. 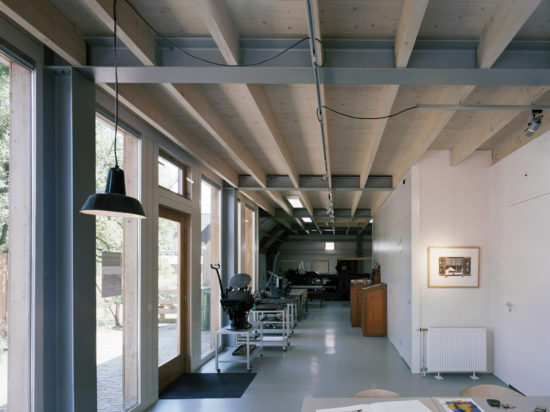 Building a relatively large building in between the existing farms demands the necessary creativity. 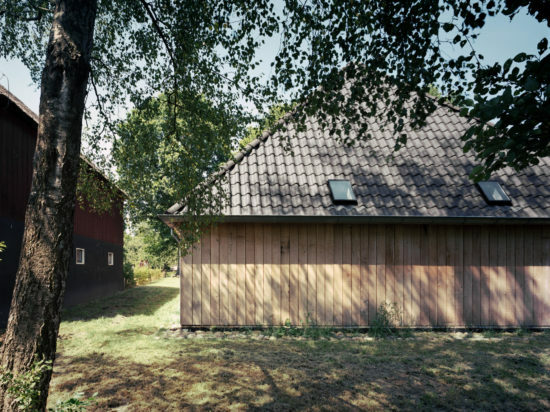 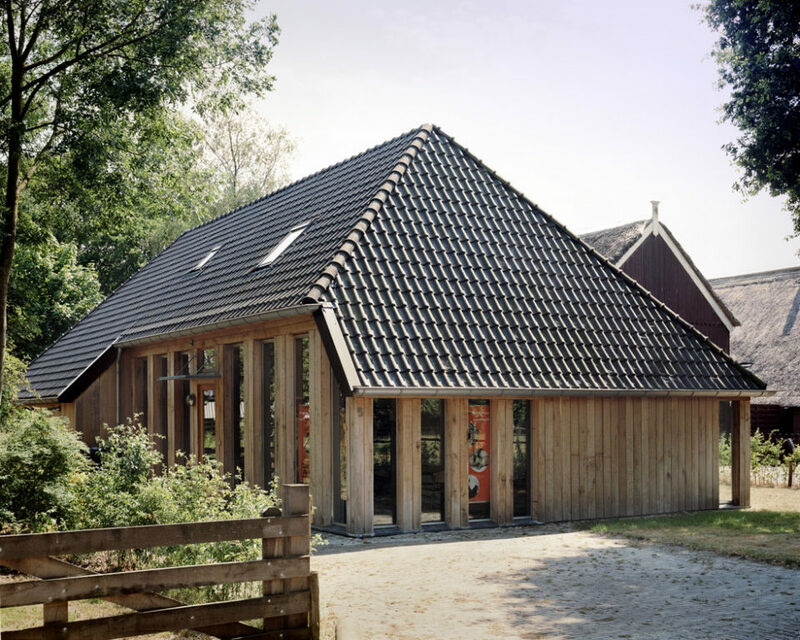 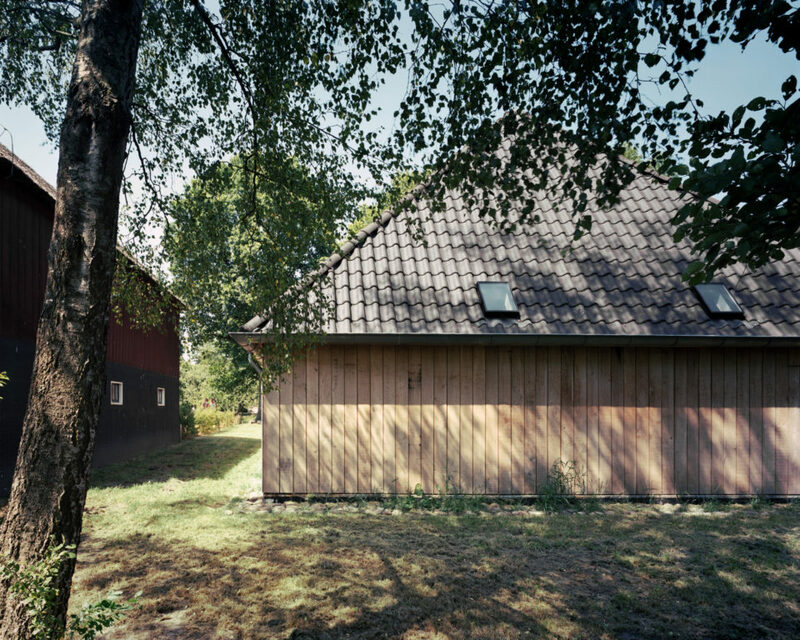 Starting point for the design was a barn, one that is very common on the farm grounds in Drenthe. In order to reflect that this is no ordinary barn, but that it has a different function, one corner of the building has been made up of lots of glass. 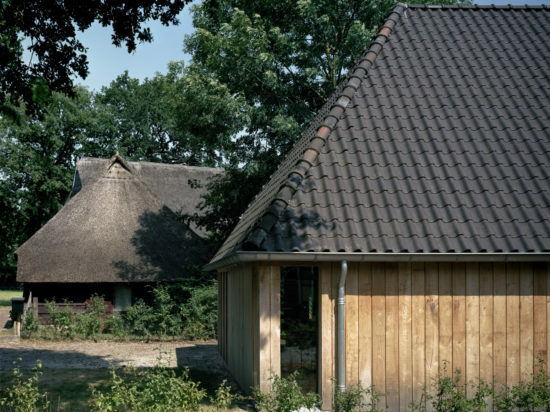 The gutter is also higher here compared to a traditional barn. 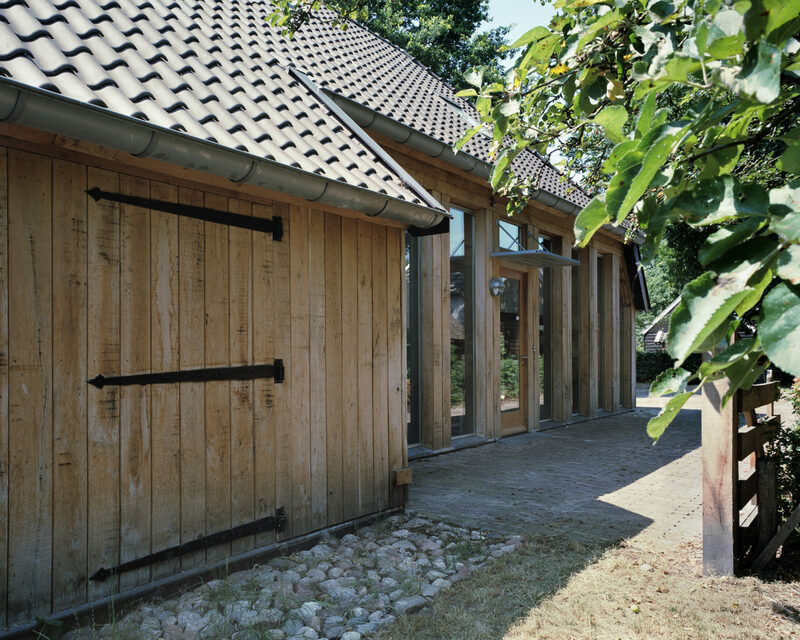 On the outside, the museum has been lined with ageing wood. 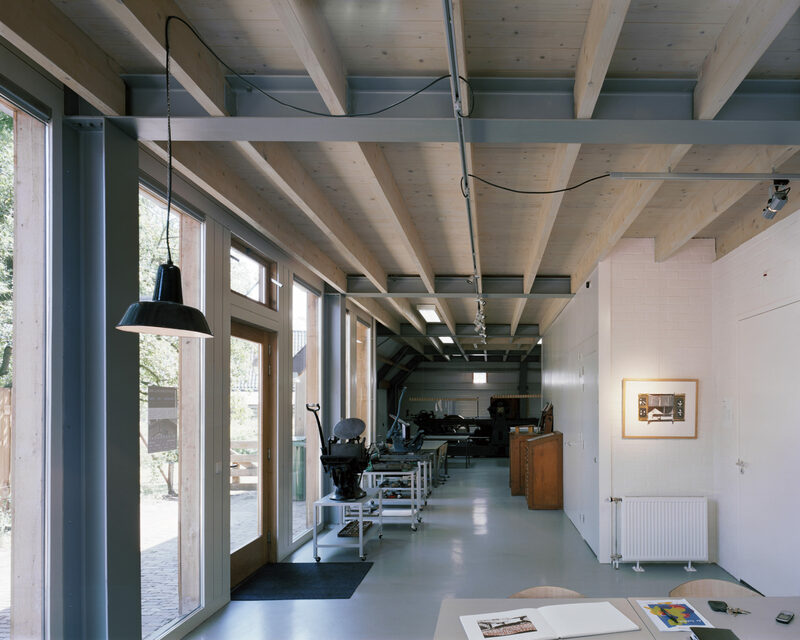 On the inside, the constructive materials have been kept in sight as much as possible in order to realise an honest building.